Q: Where is leading technology trending for UAV navigation in complex, unstructured, and uncertain (GNSS-denied) environments in industrial applications? 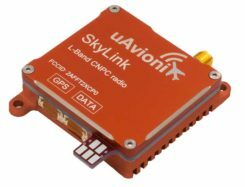 A: Tight integration between GNSS and inertial navigation systems (INS) can provide accurate, reliable navigation in GNSS-challenged environments, and advances in MEMS inertial technology continue to push the performance of systems that meet the size, weight and power requirements for UAV systems. 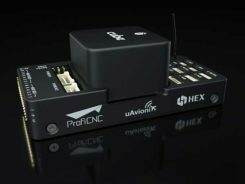 These GNSS/INS sensors will continue to improve and form the core of the navigation system as additional navigation aids, such as computer vision, are added to address more demanding GNSS-denied applications. A: Industrial UAVs need trustworthy navigation units. Drastic sensor selection, thermal calibration, and signal processing techniques are mandatory to cope with high temperature / vibrating environments. Advanced algorithms design is also a key to make UAV navigation more reliable in challenging environments: An extended Kalman filter that fuses inertial and GNSS data maintains an accurate trajectory, even during GNSS outages. Next challenge is to get real-time inertial data fusion with GNSS, and vision or Lidar sensors! A: Inertial sensors, vision and radar-based distance sensors provide positioning in GNSS-challenged environments. However, experience teaches that even there, GNSS signals can often be received, albeit intermittent or badly disturbed. And GNSS is still the easiest absolute positioning reference available. Therefore, much effort goes into developing robust GNSS technology with reliable quality information, which continues to play a crucial role in the positioning solution, fused with the aforementioned technologies.